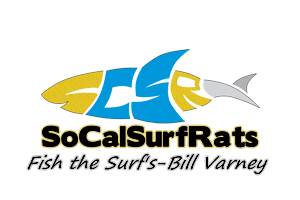 1/8/15 Outing - Blogs - Surf Fishing California - How to Surf Fish & Surf Fishing Reports and Tips. (3) of us caught (4) small surfperch (Gulp grubs - motoroil) & (1) jack smelt (Gulp sandworm - camo). Great weather, and approaching high tide. What sized hook did you catch the jack smelt on and how long was it? How to rig a double looper set up quick and easy and catch more fish!